In honor of Kelly, we raise and donate funds to school ROP, Career Technology Education (CTE) and Continuing Technical Educational programs as well as scholarships and sponsorships to high school students. Our awardees must be enrolled in San Diego County schools and have a track record of participating in their school CTE programs to be eligible. 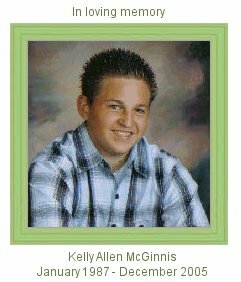 The Kelly McGinnis Memorial Foundation is proud to have supported a wide variety of programs and students from San Diego County Schools. Our program assistance begins with a request from educators and encompasses all aspects of CTE programs. Please review the support received by programs and students over the past years. We commit a large portion of our annual budget to providing scholarships directly to graduating seniors to allow them to participate in training or purchase tools and equipement to be on par with their peers in the workforce. The KMMF relies heavily on the generous donations from our supporters. You can help with our efforts supporting one of our events or making a donation. The KMMF is incorporated as a 501(c)(3) nonprofit organization in the United States, and donations from US citizens are tax deductible. Please click here for making donations via PayPal. For all other types of donations, please contact us. registration is here! If you are ready to sign up, go directly to registration. 13th Annual Tourny! Registration is open! Sponsors are encouraged to sign up and help our cause. 2019 CTE Grant Application Looking for your application to The KMMF CTE Grant? You can download it here. Keeping In Touch A 2017 CTE Award winner sends their current status and a thank you! GoodSearch earns us $ Just by performing searches you can help us help youth. Click here to find out how.